How Facial Recognition Systems Work? In Facebook and other social media sites , you might have noticed that it has the ability to recognize people's faces. In group photos peoples’ faces are recognized and tagged. This is just one example of high-tech facial recognition software. Facial recognition is used in lot of areas like security systems, access control, identity verification etc. Modern smartphones uses facial recognition to secure your data from unauthorized access. Here is How Facial Recognition Systems Work. How we recognize other people’s faces? ,Human faces have certain qualities you recognize. The spacing of eyes on a face, the position and width of a nose, the shape of a hairline and chin -- these are all things that you unconsciously use to recognize someone’s face. A computer uses same method to identify faces. How face recognition algorithm works? 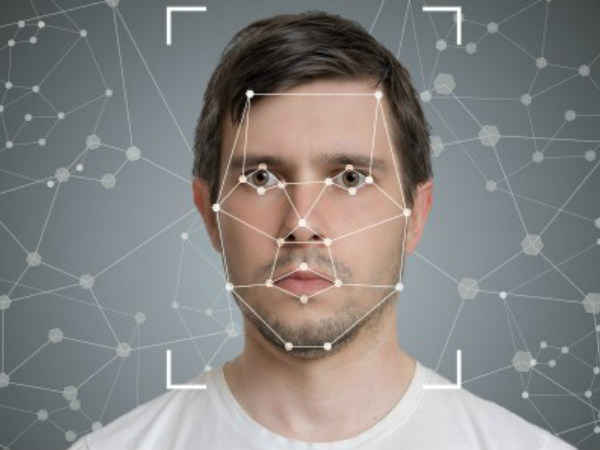 Like other “biometric” identification systems, facial recognition examines physical features of a person’s face in an attempt to uniquely distinguish one person from all the others. Other forms of biometric recognition include the very common fingerprint matching, retina scanning, iris scanning and voice recognition. A facial recognition system measures the overall facial structure, including distances between eyes, nose, mouth, and jaw edges. Each human face has approximately 80 nodal points. Distance between these nodal points are measured and stored. These measurements are retained in a database and used as a comparison when a user stands before the camera. These nodal points are measured creating a numerical code, called a faceprint, representing the face in the database. Normalization: Normally face image is captured at different angles and different distances gives different measurements. These values needed to be normalized before comparing with the stored template. Traditional:In this method landmarks, or features, from an image of the subject's face are extracted. For example, an algorithm may analyze the relative position, size, and/or shape of the eyes, nose, cheekbones, and jaw .These features are then used to search for other images with matching features.In this techniques facial recognition camera used is a normal camera. 3-Dimensional recognition:Three-dimensional face recognition technique uses 3D sensors to capture information about the shape of a face. This information is then used to identify distinctive features on the surface of a face, such as the contour of the eye sockets, nose, and chin. It can identify a face from a range of viewing angles.Three-dimensional data points from a face vastly improve the precision of face recognition. Thermal Cameras:Input for facial recognition can also be captured with Infrared thermal cameras. In this cameras will only detect the shape of the head and it will ignore the subject accessories such as glasses, hats, or make up. It uses low-sensitive, low-resolution ferro-electric electrics sensors that are capable of acquire long wave thermal infrared (LWIR). Fusion of LWIR and regular visual cameras has greater results in outdoor probes. Social Media :Social media platforms have adopted facial recognition capabilities to diversify their functionalities in order to attract a wider user base amidst stiff competition from different applications.eg.Facebook photo tagging. Mobile Technologies ,Face ID :Apple introduced Face ID on the flagship iPhone X as a biometric authentication successor to the Touch ID, a fingerprint based system. 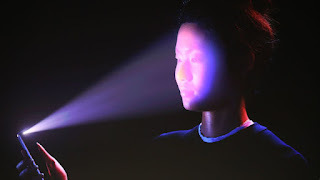 Face ID has a facial recognition sensor that consists of two parts: first module that projects more than 30,000 infrared dots onto the user's face, and a second module that reads the pattern. Infrared sensors are used to ensure the camera is scanning your actual face and not a photo or 3D model. The pattern is then compared with confirm a match with the phone owner's face already stored in the phone. Apple’s Face ID also depends on AI(Artificial Intelligence) programs to improve the accuracy. Many other phones like Vivo V9 also comes with built in facial recognition. Free facial recognition apps and facial recognition software are available for download and and use in mobile phones and PCs. But they are of limited accuracy. Facial recognition in Security services :Most useful application of facial recognition systems is in security systems. It can be used in large open spaces like airports, arenas and shopping malls. Advantages of facial recognition over other biometric technologies. Face recognition technology is the least intrusive and fastest biometric technology. Poor resolution images and poor lighting can reduce the accuracy of face-scanning results. Different angles and facial expressions, even a simple smile, can pose challenges for face matching systems. Facial recognition loses accuracy when the person is wearing items like glasses, hats, scarves, or hair styles that cover part of the face. Makeup and facial hair can also pose issues for face detection programs.. In modern facial recognition programs Artificial Intelligence and neural network algorithms are blended to get better results. Neural networks learn from examples and respond to inputs it’s own based on the knowledge it acquired through examples. Even if input images are of poor quality , artificial intelligence algorithm can distinguish and identify images accurately.